If you have ever experienced a struggle of having to choose a certain appliance for your home – be it a vacuum cleaner, or a microwave – we bet that this process was not quite pleasant. Before buying a particular device, everyone wants to make sure that he/she gets the best product. Aside from the quality of the item, everyone strives to get it for the reasonable price. However, to find the best product, one needs to perform a thorough research, and this might take time. Yet, if you don’t have much of the free time, we understand you – nobody wants to spend hours reading about coffee machines or kettles. Choosing the best bread machine also be quite time consuming – with the abundance of jaw-dropping bread maker models on the market, you can get lost. That is why we went ahead and already performed an extensive research on the bread machine market and filtered out only the best bread makers for you. One of these models - the Panasonic SD-YR2500 Bread Maker with Gluten Free Mode. Today, we will look into the key features and customer reviews about this bread machine. Making bread has never been easier with this Panasonic SD-YD250 bread maker. This great appliance will make sure that your fruits or nuts will not get crushed during the kneading process – the machine will add the extras just in the right time automatically. What is more, this Panasonic SD-YR2500 Bread Maker is a very durable bread maker, while its bread pan is non-stick and very easy to clean. The basic settings of Panasonic SD-YR2500 Bread Maker include white, whole wheat, multigrain, French, gluten-free, quick bread and cakes. This review about Panasonic SD-YR2500 Bread Maker would be a failure if we would not mention the ‘Rapid Bake’ mode – this bread maker can produce a fresh bread loaf in some 2 hours! Three loaf sizes, up to 2-1/2 lbs. This bread machine is designed to produce delicious bread without you having to put any effort – you just load in the ingredients and push the button. 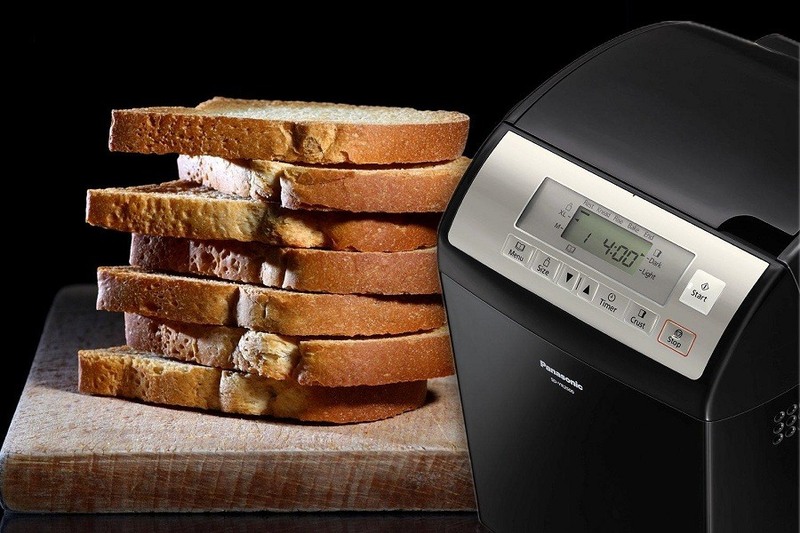 The Panasonic SD-YR2500 Bread Maker will mix, knead and bake your bread for you! In case you have a busy schedule– this Panasonic bread maker is just right for you. The device features a great delay timer option, which allows you to set the baking time 13 hours in front. This bread maker is capable of producing loaves in 3 sizes – up to 2-1/2 pounds. 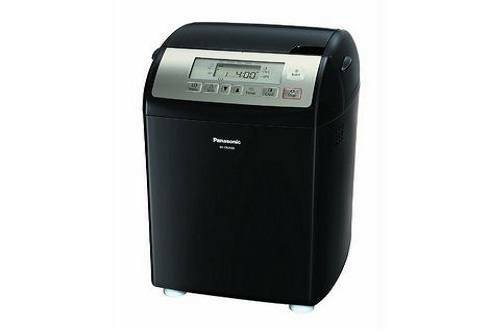 In addition to the above mentioned great features, this Panasonic SD-YR2500 Bread Maker comes with 40 recipes and detailed instruction manual. We believe it is always necessary to read the customer testimonials about a certain product that you want to buy online. Hence, we decided to read a number of honest customer reviews about this Panasonic SD-YR2500 Bread Maker. The customer reviews stated that the fruit and nut dispenser is a very useful feature – it means that you don’t have to wait for the beep or risk your raisins turn to mush. Furthermore, thanks to the special gluten-free setting, you can enjoy healthy pasta and bread. In addition, the pasta setting of this Panasonic bread maker is outstanding, according to the reviews. It is super handy for making specialty pasta, for instance – whole-wheat pasta comes out just perfect! Following on this, owners of this Panasonic SD-YR2500 Bread Maker noted that large capacity of the bread machine. People loved the intuitive control panel and large and informative display, which shows all the stages of baking. Another great feature of this Panasonic SD-YR2500 Bread Maker that was mentioned in the customer testimonials – the bake only setting. Happy owners stated that it is perfect for baking cakes. 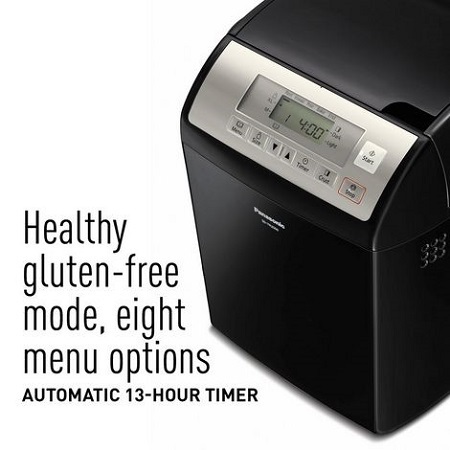 In case you want to purchase this Panasonic SD-YR2500 Bread Maker with Gluten Free Mode, you will need to know some additional information in advance. Panasonic Corporation provides a limited 1-year warranty for this product. The manufacturer warrants this product against defects in workmanship and materials. After spending hours online in order to find a great deal for this Panasonic SD-YR2500 Bread Maker, we finally found ourselves on Amazon. At the moment, Amazon is offering this Panasonic SD-YR2500 Bread Maker for just above $230 with free shipping. If you are searching for a bread maker that can bake gluten free bread and make gluten free pasta – this Panasonic SD-YR2500 Bread Maker with Gluten Free Mode is what you need. The sophisticated features of this Panasonic bread maker offer an opportunity to bake the bread that can compete with the one from the bakery. Plus, you can control the intake of certain ingredients, which is a great advantage. 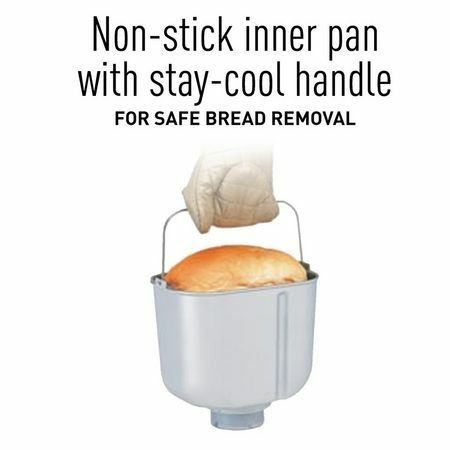 Consider this bread maker as a wise investment in your own health. It will also save you tons of money in the long term. We certainly recommend buying this stunning bread machine, considering the low-price offer by Amazon.